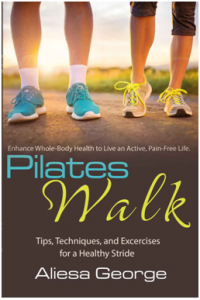 As I was chatting with a gal in my triathlon training program today, she began asking me questions about Pilates, and the difference between Pilates and Yoga. As a triathlete, she made the comment that she runs, bikes, swims, and does some weight training, but had never really worked much on her flexibility, and is now realizing that she needs to do something to improve it. She wondered which would be better to do for improving flexibility – Yoga or Pilates? As a Pilates enthusiast, and a Yoga novice, I see great benefits from both practices, and feel that they complement each other nicely if you have the time to do both. I also believe that if I had to pick only one Pilates or Yoga, I’d start with Pilates. During my almost twenty years of teaching Pilates I have had a handful of really great Yoga teachers come to me for Pilates training. Why did they come…because they got injured in a Yoga class. Each of these well-qualified Yoga teachers made the comment that Pilates helped them better understand how to support their bodies during their Yoga poses. But we don’t always have time for both… Time seems to be a challenge just for getting a workout in. So for a lot of people this means skipping out on their stretching and missing the benefits of this very important component of their health & wellness program. Eventually, these overly tight muscles can increase your risk of injury. I love Joseph Pilates quote above, “True flexibility can be achieved only when all muscles are uniformly developed.” Our body is a system of levers and pulleys. For one part to lift, another part has to lower. If one muscle contracts, the opposing muscle has to lengthen and release. This is a much different concept than the all or none principle which is how some people address their stretching exercises. Training efficient body mechanics for functional movement with Pilates develops this work-release system – And that is what helps improve real flexibility. Our brain is smart enough not to let go and really relax a muscle, unless it can sense that something else is supporting the body structure. If you were standing upright and “let go” and relaxed all of your muscles what would happen? You’d fall down! Stand and strongly engage your leg and core muscles to lift up, and it’s possible to let the shoulder and arm muscles drop and relax. With proper strength comes length. The point is not to get into a wild stretching position and tie yourself into a knot – and relax everything while holding this position, but to smoothly and gracefully flow from one endpoint to the next moving the body with balance and control through as full a range of movement as possible. Some muscles will work harder, and others will release to allow this movement to happen. Yes, there are some different types of “Power” Yoga classes that also work on this flow, but to a certain extent – Yoga is about holding poses or postures, and Pilates is about maintaining good posture, balance, support, and control while moving gracefully and efficiently from one position to the next. 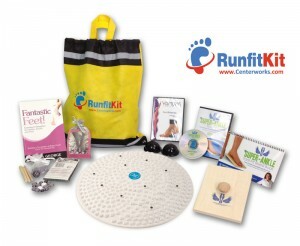 I think of Pilates like a game of connect the dots to create a beautiful picture of effortless movement with maximum efficiency of your work-release system. When this happens you gain true flexibility and have developed not only the strength to push yourself to the limits of your flexibility, but you also have the body awareness and control to safely pull yourself back to center! 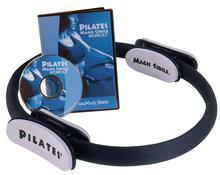 Pilates Matwork allows you to work on these concepts against the resistance of gravity. Pilates equipment work on the Reformer, Chairs, and Cadillac allows you to work against the resistance of springs – which act like the lengthening and recoil action of your muscles. It would be ideal to optimize the use Pilates for improved flexibility by working the system and doing exercises that utilize both equipment and Matwork. And Pilates Matwork is something you can learn and do on your own, at home, anytime, anyplace to continue to reinforce proper functioning of your lever/pulley systems. So, in encouragement of you incorporating a little more Pilates Matwork into your weekly workout routine… I hope you enjoy this quick Basic/Intermediate 10-Minute Mat Workout designed to inspire you to stay on track and improve your flexibility with Pilates. The Roll Up 5 In/Ex up, In/Ex stretch, In/Ex down Keep legs together, feet flexed, articulate spine. Hold in forward bend for 1-3 breaths, then roll down. One Leg Circle w/Twist 3-5 In Cross, Ex Circle – 3-5x. In Open, Ex Circle – 3-5x. Hips twist when leg goes across. Hips stay on mat when leg opens. Single Bent Leg Stretch 5-8 In-Pull-Pull right, In-Pull-Pull left, Ex-Pull-Pull right, Ex-Pull-Pull left Curl head up to bottom tips of shoulder blades. Pull-Pull is belly & biceps to pull knee closer to chest w/ double pump & stretch low back. Single Straight Leg 5-8 Ex-Pull-Pull, Inhale Switch Do with pointed feet. Do with flexed feet. Criss-Cross 5-8 In-Twist right/left, Ex-Twist right/left Twist torso more than pulling with arms & elbows. Spine Stretch Forward 5-8 Inhale Tall, Exhale Forward Keep hips lifted, bend spine from head to waist. Double Knee Drop 3-5 In/Ex Twist, In/Ex Center – alternate Easy-feet on floor. More challenge start tabletop, or adv. straight legs to ceiling. Swan Prep 3-5 In/Ex to Lift, In-Lift higher, Ex-Lower Keep legs tight, shoulders down, lengthen forward, out, and up using whole back with minimal hand support. 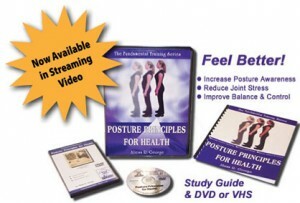 Neck Pull 3-5 In/Ex Roll Up Head to Knees, In/Ex Hold & Stretch, In-Tall, Ex-Roll Down Keep feet flexed. Can hold & stretch 3-5 breaths each rep. before sitting tall & rolling down. Shoulder Bridge 3-5 In/Ex Roll Hips Up, In/Ex Roll Down Keep feet planted, abs in, lift back of thighs & pelvis to open hips & stretch thighs. (foot can stay pointed, or flex to front, & point to back for more stretch.) Hold body still from ears, to shoulders, to hips. Maintain ab support to swing leg freely from the hip. Lift & Lower 8-10 In-Lift to Ceiling, Ex-Lower Keep leg turned out & hips stacked. 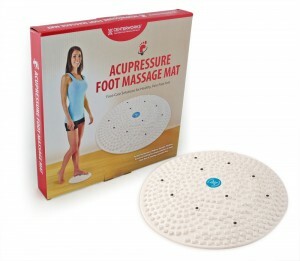 Bicycle – Slow Stretch 3 – 5 Breath Naturally Grab ankle for Quad Stretch, Hug knee to chest for low back stretch, straighten leg and walk hands to ankle for Hamstring Stretch, Add foot flex for Calf Stretch. Repeat. 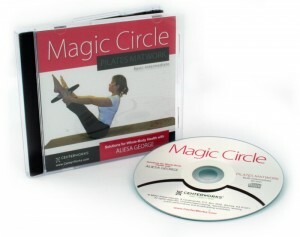 Beats on the Belly 30 Breathe Naturally Keep hips still, shoulders down, open & close legs – squeeze inner thighs. Repeat Kick Front & Back, Lift & Lower, Bicycle on other side. Seated Straddle Stretch 3 Breathe Naturally. Hold for 3-5 breaths, come up, take legs wider & repeat. Sit in WIDE Straddle, Hinge forward to stretch inner thighs. Keep knees up. One Leg Teaser / Climb a Tree 3 Breathe Naturally. Lay on back 1 knee bent, 1 leg straight at 45 degrees. Walk hands up to ankle and sit tall. 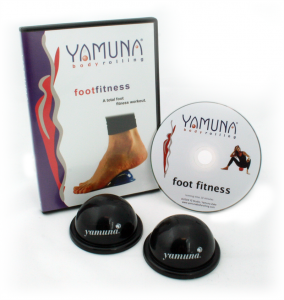 Point & flex foot 3 x. Hold flex & grab ball of foot. Release & roll down. Pull leg to nose for hamstring stretch, then lower leg to 45 degrees and Climb Tree again. Seated Side Bend 3-5 In-Tall, Ex-Side Bend, In/Ex Side Bend farther, In-Tall, Ex-Relax Alternate Sides. 1 arm or both overhead. Sit in straddle, Indian/butterfly, or Z-sit. Rolling Like a Ball / Seal 5-8 Inhale- Roll Back, Exhale-Roll Up Either hold Ball Shape, or Seal w/Claps. 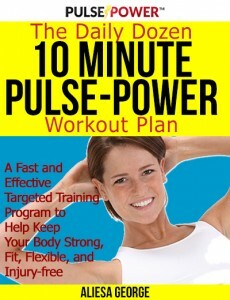 This may look like too many exercises to accomplish in a short 10 minute workout. But if you know your exercises, and are riding your breath for flow, you will be able to get this workout completed in approximately 10 minutes. Getting started it may take you 15-20 minutes. You will know you are progressing when you can move easily from one exercise to the next using your body’s work-release system to maximize the strength/stretch relationship of your levers & pulleys for efficient movement. 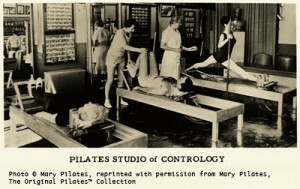 Pilates Matwork is not just about developing core strength! 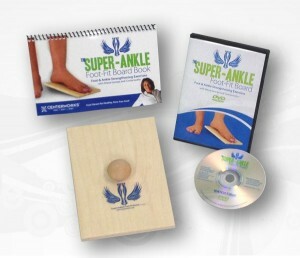 But it IS this strength that give you the opportunity to develop and improve your flexibility. Give this Mat workout a try and let me know what you notice. 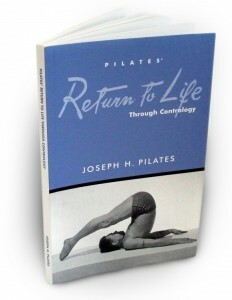 Joseph Pilates in his book Return to Life recommends doing your mat exercises at least 4 days a week. If you think about only four 10-minute workouts a week, it’s not an overwhelming amount of time to be focused on improving your health. 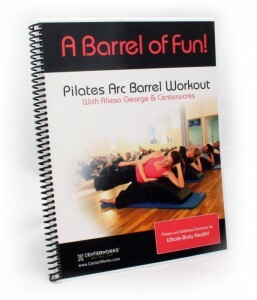 If you’re looking for additional resources to help you with your Pilates Mat exercises, here are some Pilates books, and Pilates Audio Workouts (CD & MP3) that can assist you in learning & doing your Pilates program. 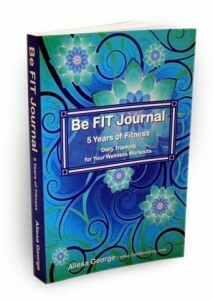 Have fun “riding your breath” and using your Pilates exercises to improve your flexibility! Posted by Aliesa George in Flexibility & Stretching, Pilates, Pilates Exercises, Techniques & Teaching Tips and tagged Aliesa George, Centerworks, flexibility, Improving Flexibility, mat exercises, muscle stretching, pilates mat, Pilates Mat Exercise, Pilates Mat workout, Pilates Matwork, relaxation exercise, Stretching, Yoga vs. Pilates.